The word “stress” has become a catchphrase in today’s world. Companies around the world are recognizing that many of their employees are starting to buckle under the pressure and the myriad of responsibilities that come as part of the package of getting a job done. Couple that with the daily grind of phone calls, emails, meetings and deadlines, and the turnover rate at many organizations is higher than ever. This is where the corporate retreat comes in. The chance that companies must have for a reset. To reinvigorate their employees and strengthen the relationships between the people that make the company run. 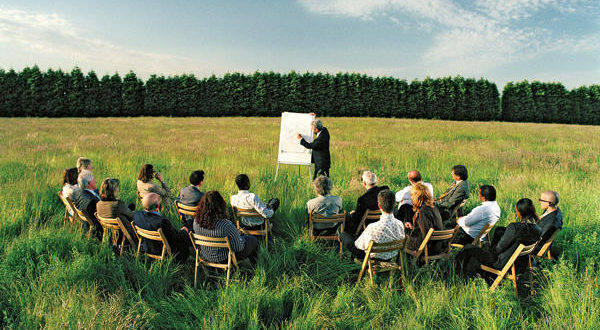 Corporate retreats offer coworkers a great opportunity to connect with each other and deliberate on work matters while having fun at the same time. Such retreats are likely to enhance a company’s bottom line in the long run. They’re becoming a go-to option for galvanising the workforce and getting people revved up for the work that needs to get done. But how do you plan a corporate retreat that checks off all the boxes? Organizing a successful corporate retreat takes a lot of effort and hard work. Booking venues, organizing transport, preparing an agenda and ensuring everything runs smoothly. So what are some of the steps for creating a positive experience? 1. The only way to be able to plan a successful corporate (or non-profit) retreat is to determine what the objectives are and work towards them. · What is the purpose of the retreat? · What problems are you trying to resolve? · What are the internal issues within your company that you are going to work on? · What are the external issues that you want to repair as a team? · Is this a team building opportunity? 2. Who will attend the retreat? Is this a company-wide event? Is this a departmental event? Deciding who will be present and what each person will contribute will help with goal setting and action plans. The decision about who to invite to the retreat depends largely on the purposes and retreat agenda. If the goal is to make sure the leadership team reaches agreement on the direction for next year, then it might make sense to limit participation to just that group. If the goal is to increase staff input and participation, then it is logical to extend an invitation to a greater number of people. 3. 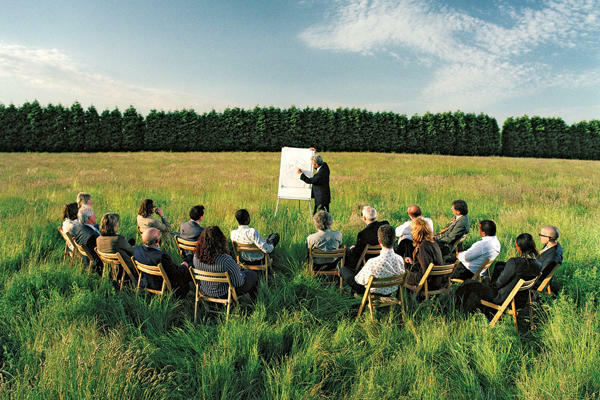 Choosing the right agenda is key to making sure you get the most out of your retreat. Keep your agenda focused, specific and achievable. There’s a limit to how much you can get done, and trying to do too much often results in achieving nothing at all. 4. You can choose to lead the retreat yourself, appoint a retreat committee, or to get the biggest bang for your buck, bring in an outside facilitator. If you decide on an outside facilitator, that person should be involved in the early planning stages. Facilitators can help keep meetings on track, make sure that staff are focused and on-point and they ensure that the organization’s goals are met. A third-party facilitator also plays a key role in staying neutral while not having a stake in the outcome of a retreat. They can expedite the process and get the results that a company is looking for. 5. Determining location for your retreat is key to getting the ball rolling. While it might seem appealing to travel to a five-star tropical resort that’s only accessible by helicopter, we’ve learned that getting to the retreat location is as important as the retreat itself. Finding places near major airports and within a short drive helps your employees feel relaxed and happy they’re about to spend time with their colleagues. Team building, recognition, interpersonal interactions, and personal excelling are the retreat goals that lead to revitalization in the work place. Employees are more productive and motivated when they feel a greater sense of involvement in establishing their organization’s goals and ideals. A carefully-planned retreat motivates employees because it enlists their creative participation in setting goals and contributing to decisions.